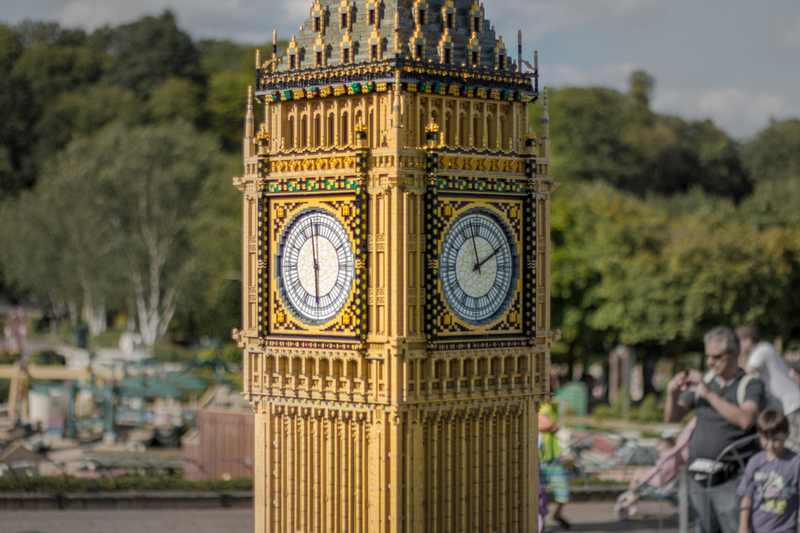 Our first visit to a Legoland was in Malaysia. It was a brand new park, very hot, but very awesome. Well, since then we’ve played with Lego, seen the Lego Movie and sang ‘Everything is Awesome’ more times then I can count. 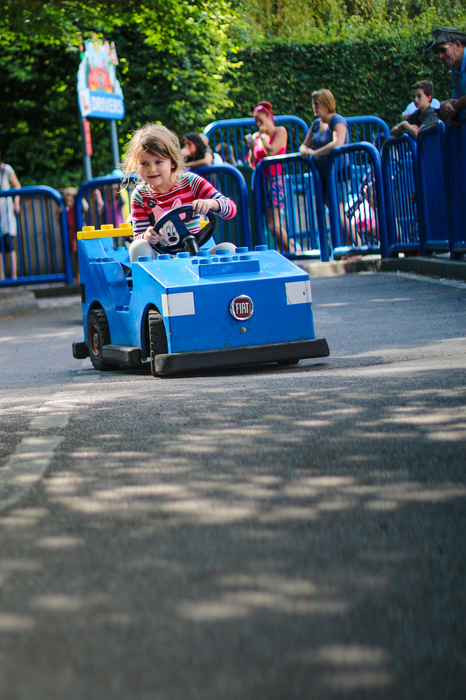 So when the kids heard we were going to meet Emmet at Legoland Windsor, well, everything was awesome. Emmet agreed. Everything IS awesome. Our housesitting owners had kindly loaned us a car for our stay in London so it was easy to pile the kids in and drive west to Windsor. While public transport is fairly accessible to the park, we knew that at the end of the day our kids would crawl into the car and fall fast asleep before we even left the parking lot. We were right. From first impressions the colourful park signage at the entrance appeared older then the park we visited in Malaysia, however the interior was quite a surprise - shady trees and sprawling grounds covering 150 acres. 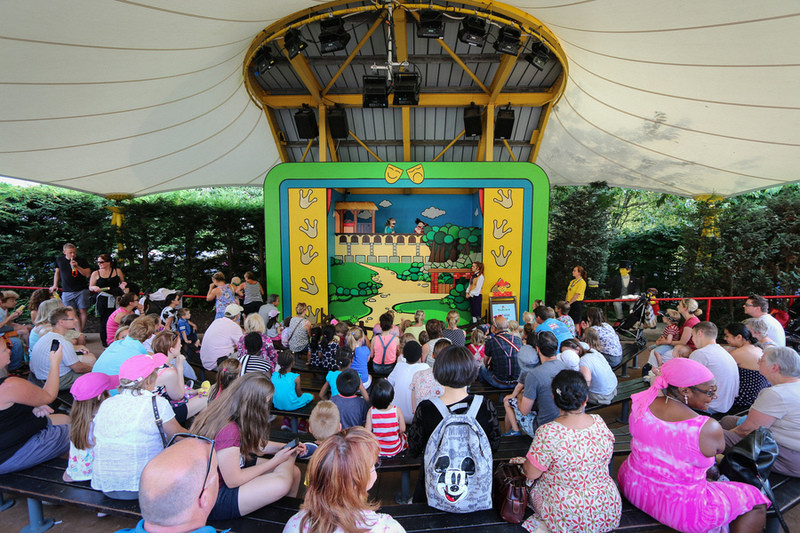 There were over 55 interactive rides, shows and attractions. Being the summer holidays we found the queues for the rides quite extensive. I heard about the Q-Bot and highly recommend it if you plan on going at the same time of year as we did. The Q-Bot is a ride reservation device that allows you to save your place in the the queue. Then instead of waiting in line, you just come back at your allocated time. 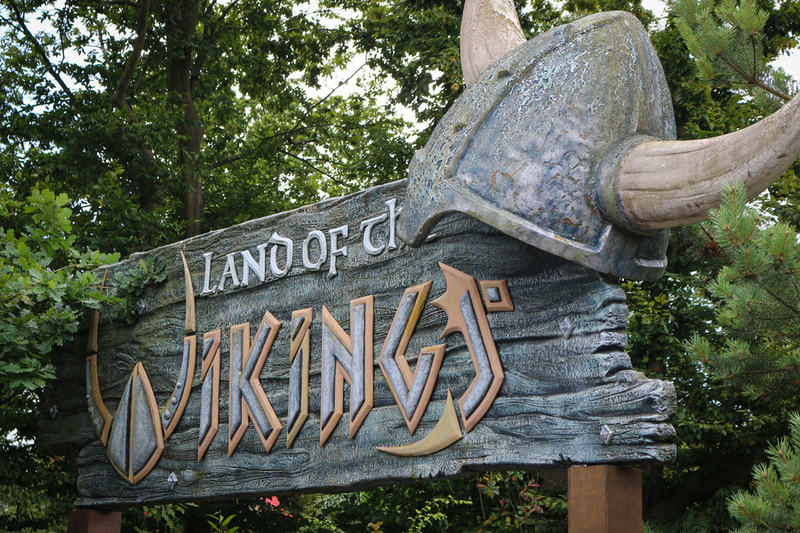 The park is split into 11 themed lands with their own restaurants, attractions and shops: The Beginning, Imagination Centre, Duplo Valley, Miniland, Traffic, Adventure Land, LEGO City, Pirate Shores, Knight´s Kingdom, Land of the Vikings and Kingdom of the Pharaohs. What stood out to our kids were the playgrounds spattered around the park. These were pleasant breaks for us in between fast-paced rides and the long queues. 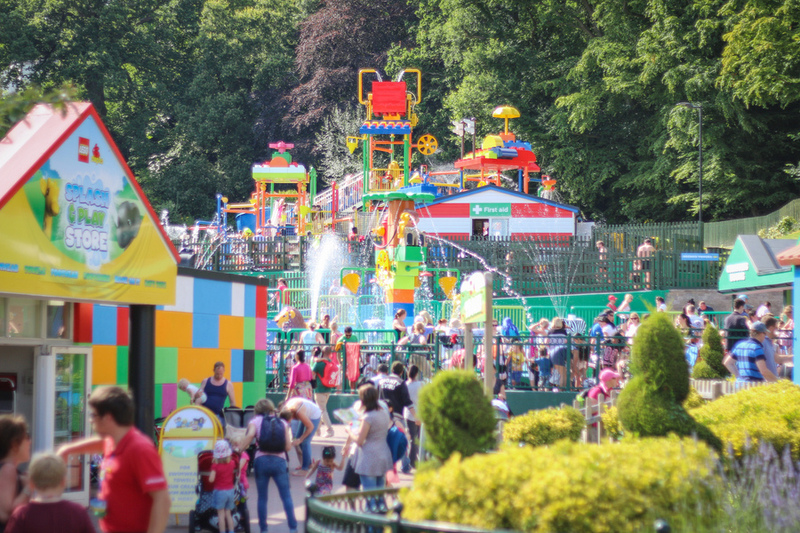 The kids’ favourite by far was at the western end of the park - a water playground called “Splash Safari” - an ideal way to cool off in the balmy summer heatwave. Lines – For small kids 45 to 60 minutes is an impossible amount of time to wait for a ride. I recommend a Q-Bot to prevent a toddler meltdown. 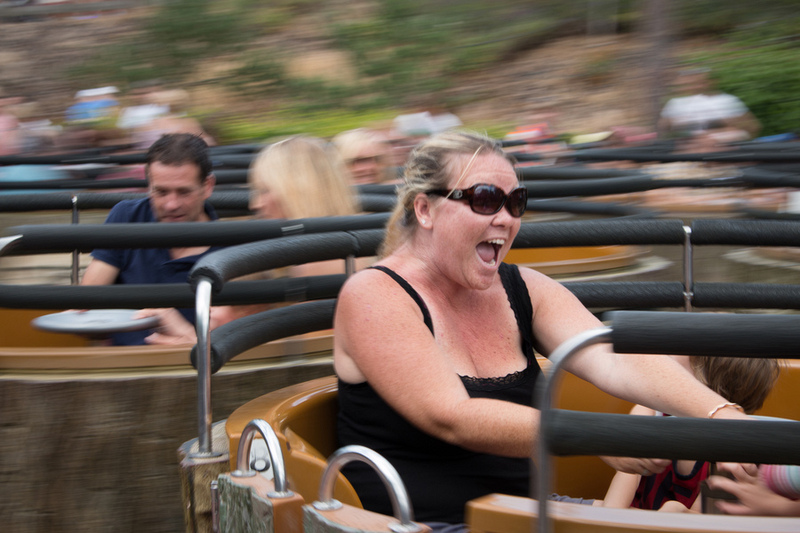 No rides for young ones – My daughter is at the age when she wants to be independent and go on rides alone. 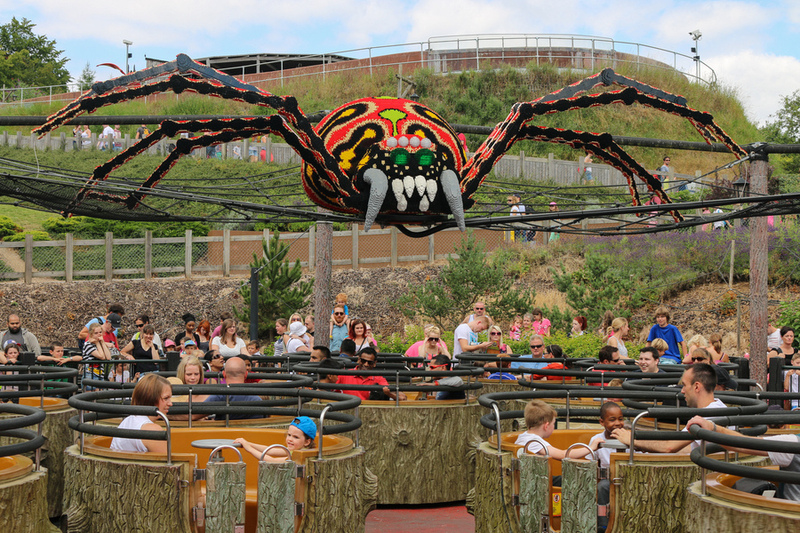 Unfortunately most of the rides at Legoland Windsor required the kids to ride with an adult, including the very safe ones like the spinning teacup. 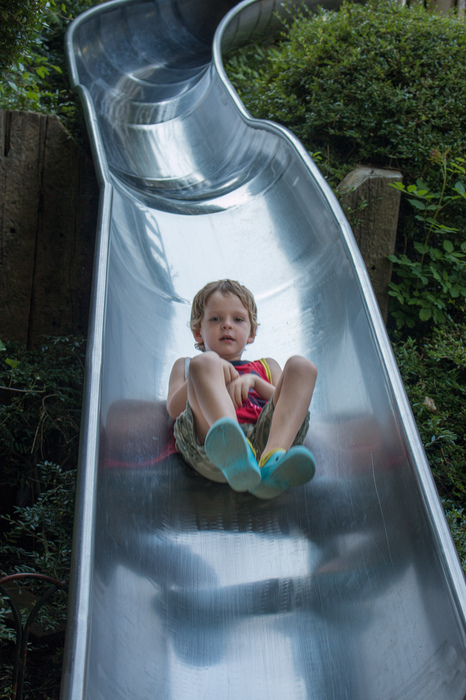 Kids over 7-years-old will have a better time with this. 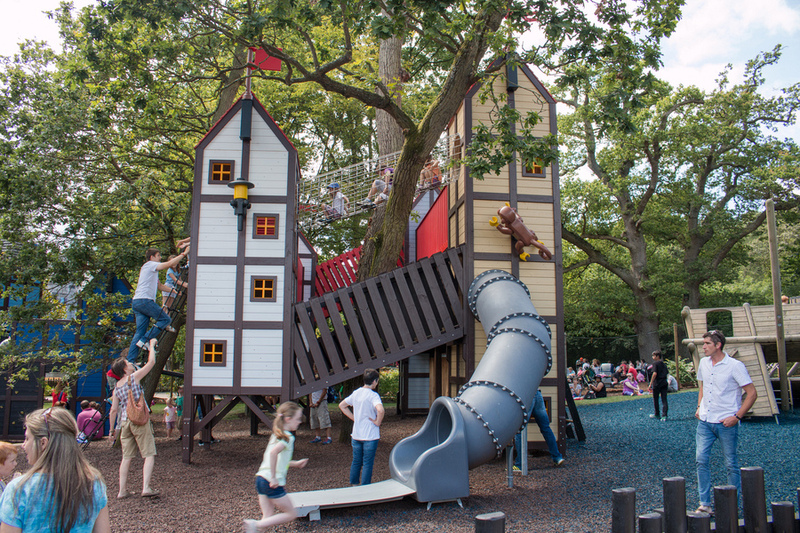 UK, the nanny state – I am not sure if this is a UK thing, but during our time playing in one of the playgrounds we were approached by a staff member and politely asked to leave. Apparently the CCTV cameras had stopped working so all children and parents were being asked to evacuate that area. I don’t know if I was more concerned with my children unknowingly being watched on camera or the fact that parents aren’t trusted to watch their own children. Food – Like most theme parks the food choices were rather average. We visited the pizza and pasta buffet. 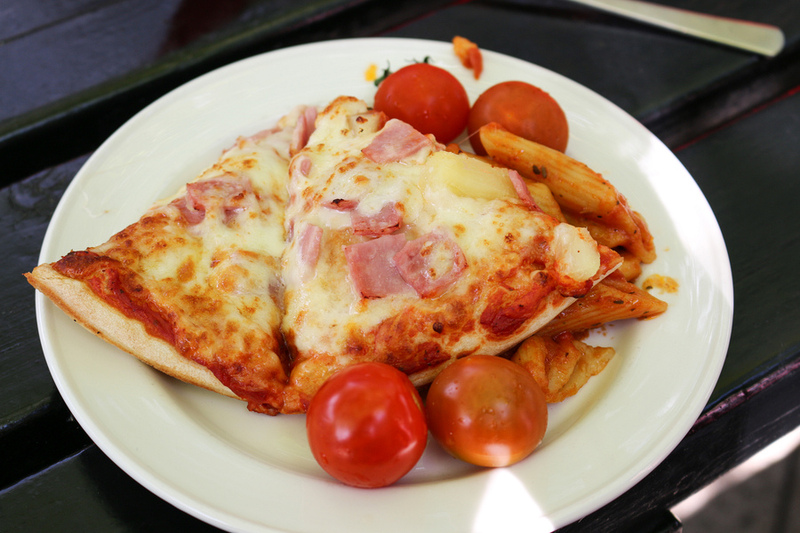 The salad was fresh, however the pasta was way overcooked, like mush, and the pizza was super thick, thick pan. 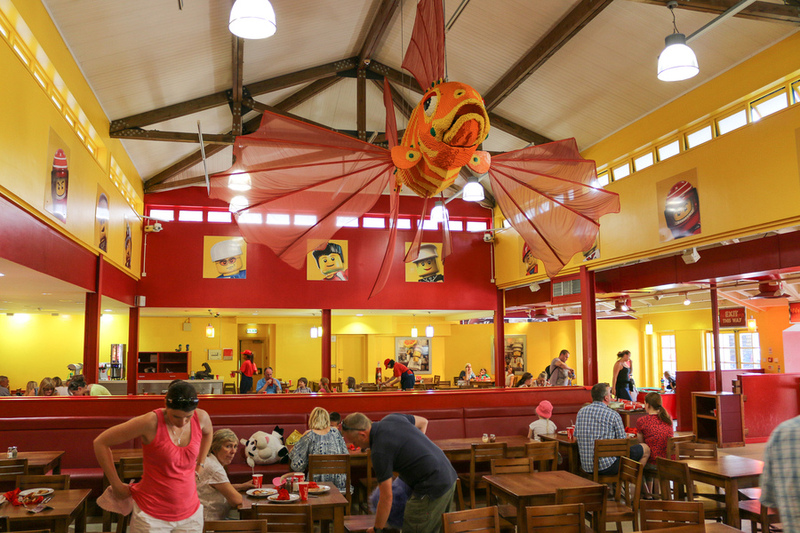 What is it with theme parks and food? It can’t be that hard to provide for the masses, surely? Kids eat free after 3pm – We spotted this sign upon entrance and packed numerous snack items in our backpack, then snacked all day until at 3pm. 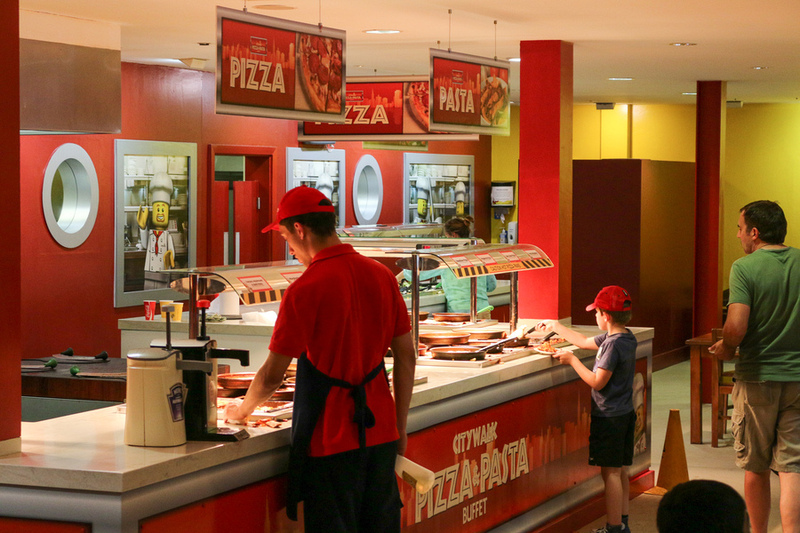 Once the time arrived, we were first through the doors of the pizza and pasta buffet, right near the Pirates Shores. The kids ate free, which was a big saving. 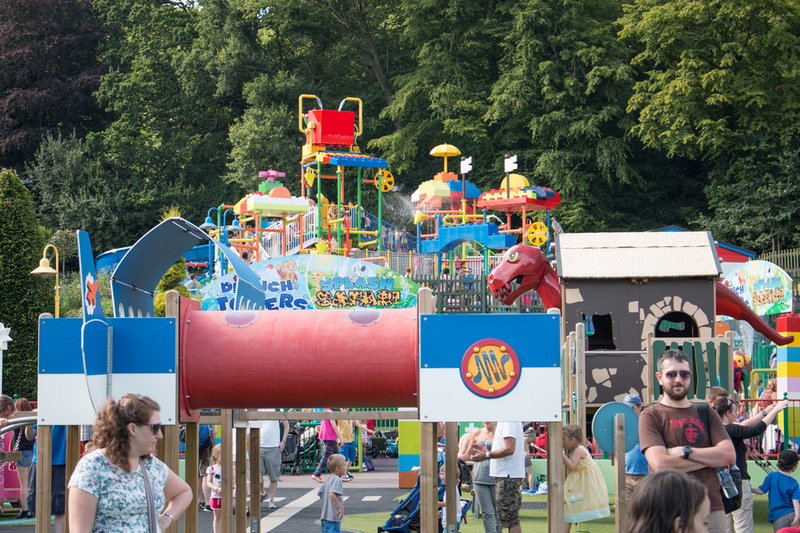 Splash Safari – Our kids loved the water playground, surrounded by Duplo animals. There were a few dry spots for parents along the surrounding walls, but no chairs, which would have been a welcomed addition. Double prams – The stroller was so easy to push and with such vast grounds you may consider renting these at the entrance. It saved our kids from a total meltdown multiple times. Pirate Shores show – The new Pirate Shores featured a fun live show with lots of action and splashing. Very funny and great effects. 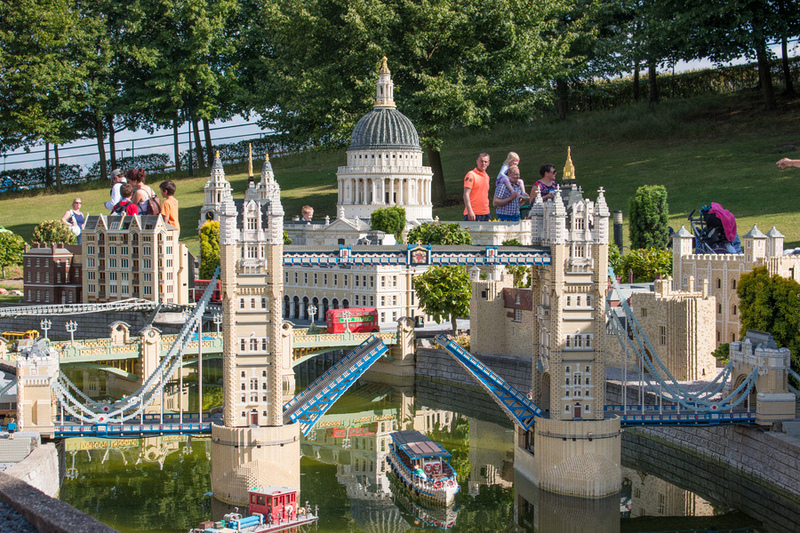 Miniland – We learnt from our last Legoland experience that Miniland can wait to the end. 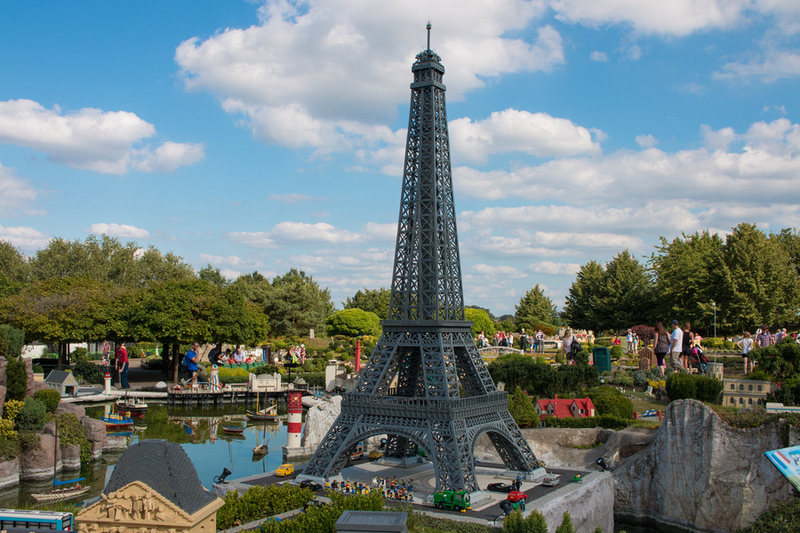 When the rides shut down and it’s time to go home, Miniland is the perfect place to wait out the exiting crowds. 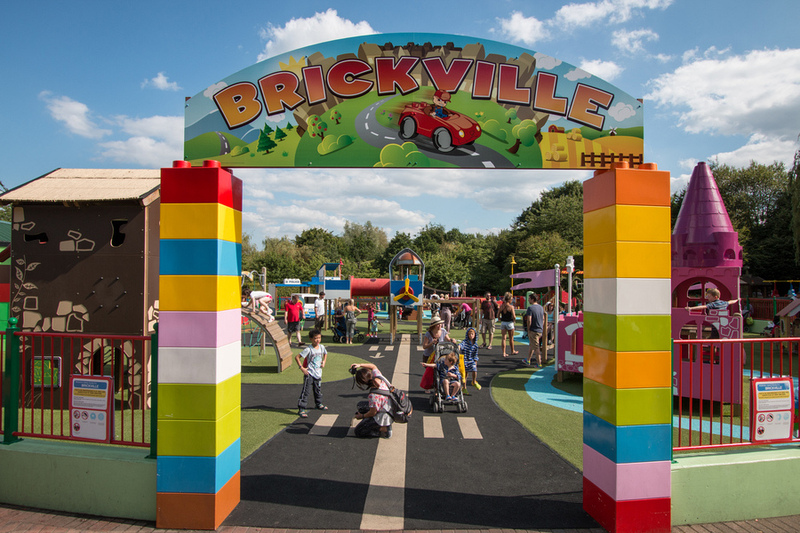 Mobile App – download the Legoland app (for iOS or Android) before your visit for an interactive map and quick queues list – big timesavers. There were so many rides that we couldn’t fit everything in one day. 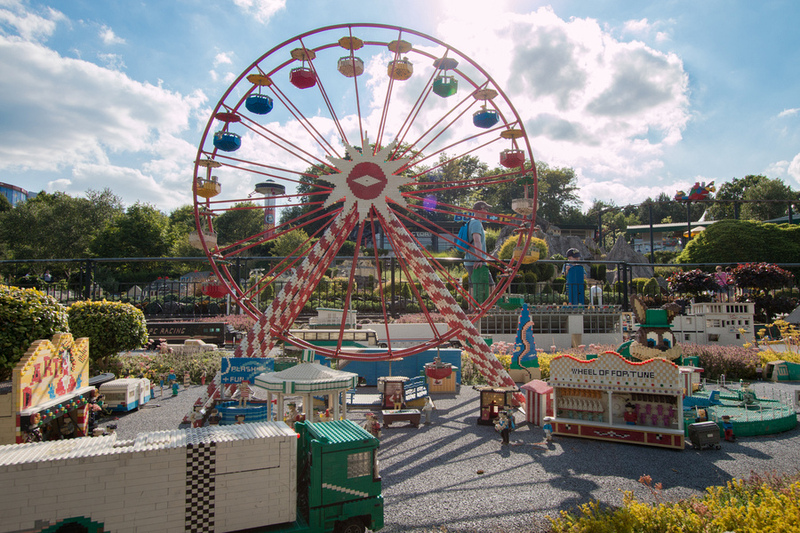 Legoland offer 2-day passes which gives you the extra time you need. 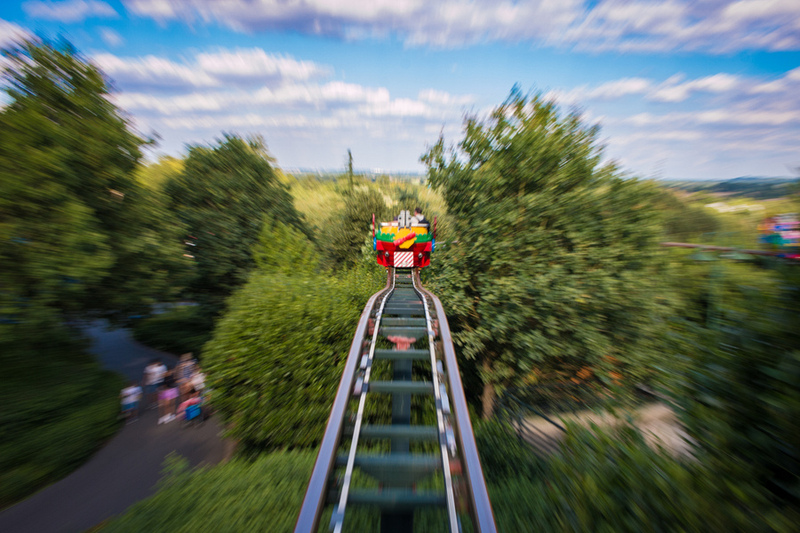 In addition, annual passes are available – perfect for locals. 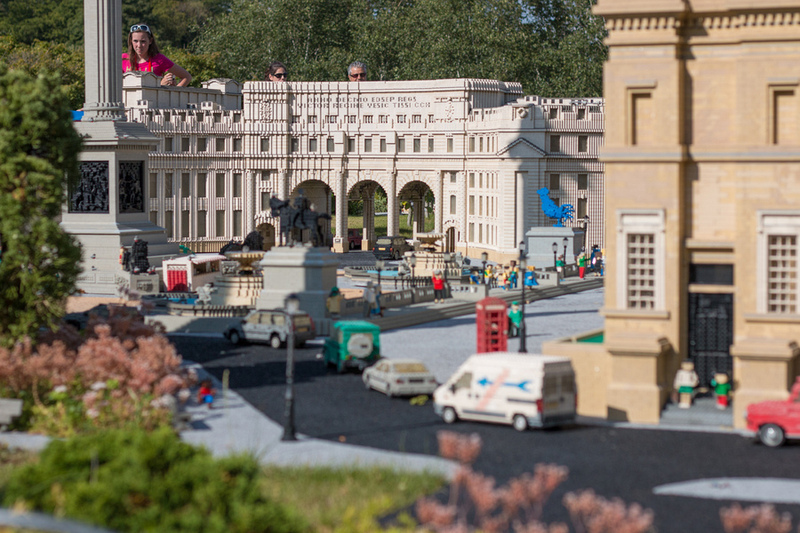 Or if you want to splash out on a more complete Lego experience, there’s also a themed resort hotel in the park which provides you with a 2nd day free at the park. If you plan ahead and book your ticket online via their website 7 days in advance you can save 25%. We had a great day at Legloand, but I would think if the kids were a little bit older, maybe 7+, it would have been even more awesome. 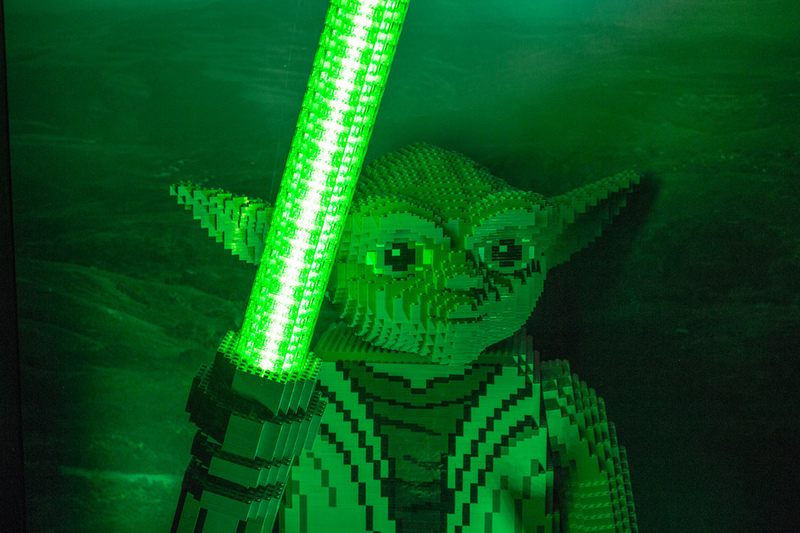 LEGO, the LEGO logo, the Brick and Knob configurations, the Minifigure, DUPLO and LEGOLAND are trademarks of the LEGO Group.